The majority of teen drivers crash after they get distracted. Yet the most common distraction is not the cellphone, as one may assume, but attending to other people in the car, according to a study by the AAA Foundation for Traffic Safety. The study looked at more than 2,200 crashes recorded by interior dash cams. The researchers looked at the footage of drivers, aged 16 to 19, a few seconds before and after the crash. Almost three out of five crashed after they got distracted. Among them, one in four got distracted by attending to a passenger. One in five got distracted by a cellphone (usually not calling, but fiddling with the device). Other common factors were unspecified distractions within and outside the car. 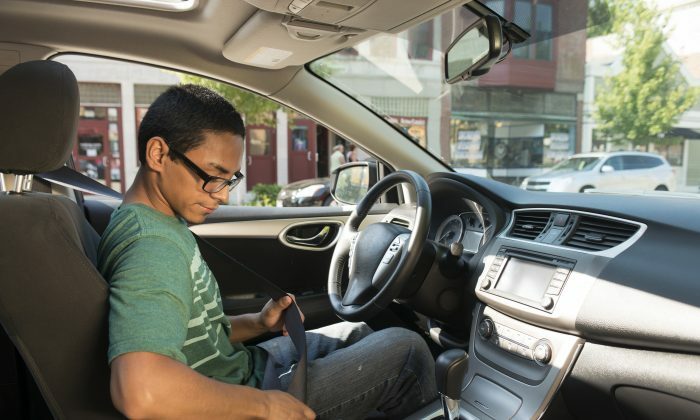 Overall, more than one in seven teen car crashes were preceded by the distraction of attending to a passenger and almost one in eight involved cellphone use. More than one in 13 crashed while singing and/or dancing to music. Less common distractions before crashes were personal grooming or reaching for something inside the car. Eating, drinking, or smoking were more rare sources of pre-crash distraction. The study doesn’t show how common these behaviors are among teen drivers overall. Fewer crashes after smoking-related distractions may mean there were fewer teens smoking while driving to begin with. Slightly more men (51.3 percent) than women (48.5 percent) were involved in the crashes. Over 93 percent of the drivers were wearing a seatbelt. More than one-third of the crashes happened with at least one passenger in the car. The research was conducted by the AAA Foundation for Traffic Safety non-profit. The report was funded by the American Automobile Association, Canadian Automobile Association, AAA-affiliated insurance companies, and others. The videos covered crashes between August 2007 and April 2015 as captured by Lytx DriveCam dash-cam system, which has two cameras—one facing forward and another inward, recording what’s going on inside the car.